It has been said that there's no need to be in a hurry to get strong. Rather, the goal should be slow, deliberate progress that takes place over a long time. Why rush things, right? Typically the people espousing this kind of advice are under the impression that the Starting Strength Novice Progression, "LP" from here on out, are inappropriately trying to maximize their rate of strength improvement when the could just take things slower, opting for weekly or monthly increases instead of objective improvements each training session. LP is too hard and too aggressive, they say, and heck- they'll just end up in the same place with respect to body composition, strength, and performance in a few years anyway so what's the big rush to get strong and hit a milestone like squatting 405? Put another way, why hurry to get to that level of strength when you could take a slower approach instead with a program that's less demanding? Let's look at a seemingly unrelated topic, traffic. Specifically, let's look at driving on one of LA's most congested highway, the dreaded 405. For folks outside of SoCal it may be hard to understand just how bad the 405 gets, but perhaps a few examples will yield some perspective. The 405 runs about 70 miles between the San Fernando Valley in the North to Irvine, which is in Orange County at the South end. If I were to leave my place in Santa Monica at 1pm and drive 55 miles South to train at JTS I'll get there at around 2. An hour isn't so bad for that kind of mileage f the hospitals I work at at 6am it would take me about 30 minutes door to door. Not bad for the 2nd largest city in the US, right? If I leave two hours later at 3pm however, now I'm looking at a 3 hour trek given all the traffic that will continue to compound as I take my journey. How about 2 hours later at 5pm? We're looking at close to 4 hours if there are no accidents. Again, this is due to the compounding nature of folks getting off work and slowing me down. Hopefully I've brought a snack! Obviously, rushing to leave by 1 makes a huge difference in my trip and my subsequent performance. Can you imagine squatting heavy after sitting in 4 hours of bumper to bumper traffic?!? Does it ever occur to the "slow and steady" folks that maybe having the initial sense of urgency and "rushing" towards the end point sets a person up for a higher level of success? I think they miss this with their rationale. Let's use the example of a 35 year old previously untrained male who wants to start training. In one scenario, he starts out doing LP and takes his squat up to 355 for 3 sets of 5 repetitions within 6 months- making good gainzZz™, despite the difficult nature of the program and a few set backs along the way. This puts him in a good spot as an intermediate to undertake more complex training and get even stronger, perhaps squatting 405 for a set of 5 and deadlifting near 500 for 5 as well within a year of training. That's pretty cool and certainly not abnormal given the right muse for the program. Overall, this guy is now well trained within 1 year of picking up a barbell to do whatever he wants whether it be continued pursuit of strength, e.g. he wants to compete in powerlifting, or focusing on hypertrophy, or picking some conditioning goals to compliment his new found badassery. In short, the world is this guy's oyster in scenario 1 because he rushed to get strong and leveraged the "Novice Effect" to the nth degree. The second scenario however, is a different story. Imagine the same 35 year old previously untrained male decides to start training. Instead of doing LP and rushing towards getting strong, he takes a slowed approach doing lots of different things- maybe some stuff off the Internet on strength training, mobility, or bodybuilding type stuff that is not laid out in such a way to make the most rapid gains possible. He trains for 6 months and since he's never really done an LP, he's never systematically added weight to the bar in the appropriate interval for an untrained lifter. For example, let's say he picks a strength program that promotes weekly load increases for three weeks followed by a one week deload. As a novice, the stress imparted by the first week won't be appropriate to maximize strength gains because the interval between training sessions is too long. In other words, because the lifter could squat a heavier weight 48-72 hours after session 1, but failed to do so, his strength adaptation will decay a little bit before he squats again the following week. During week 2, the goal posts might change, e.g. the repetitions are decreased, and so the lifter may successfully complete the prescribed work, but did he get any stronger? Hard to say given the decrease in workload. Fast forward two weeks and now the novice lifter is taking a "light" week without having optimally stressed their body to a point where a deload week is needed. It is possible that in a given month the guy actually didn't get any stronger, but he still follows the program because it was recommended to him by someone he trusts or it's published by a guy he admires who promotes "slow and steady" improvements, yet doesn't realize that a novice needs deliberate progressive overload in order to see actual results. Fast forward 6 months in scenario and the original guy may be a little stronger. I mean, he did start training with barbells after all so let's say he got his squat up to 235 x 5 reps. At this point, if the guy doesn't start actually training appropriately then he may miss his physiologic window to actually get strong. His hormonal milieu isn't going to last forever, right? Similarly, as we get older our recovery resources tend to get more and more compromised, i.e. we have more life commitments like kids, work, significant others, sick parents, vacations, etc. that all interfere with training. None of these things are "bad", per se' but can you imagine scenario two ending 10 years later with the guy- who otherwise would've been capable of putting up some stout strength numbers and growing a good amount of metabolically advantageous muscle while having lots of opportunity from a performance perspective- ultimately ending up not realizing his potential because he ran into too much traffic to get to his destination in time. In my opinion, it's plain to see that we should be in a hurry when the outcome depends on it. You wouldn't want your doctor sitting on a few worrisome lab values if the difference between acting expediently vs. waiting was life or death, right? Similarly, you wouldn't want to leave my place at 4 o'clock to head anywhere that would require you to be on the 405. And finally, you wouldn't want to artificially slow down your progress in the iron game because if you do, you might not make it to the place you were destined for. That's all this week, folks. 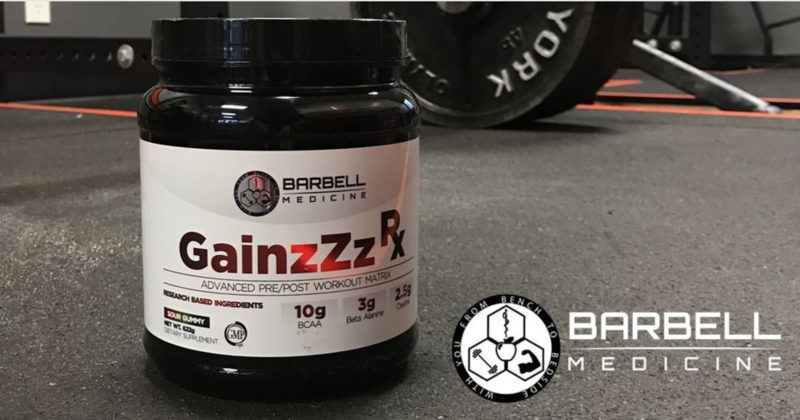 GainzZz Rx is now available and shipping through Amazon! So that's just a little update on that. Right now, I'm finishing up the next set of new templates. We'll do a strength bias, a hypertrophy bias, and a conditioning bias for intermediates and pair it to a planned LP preceding it just to show how that would work. 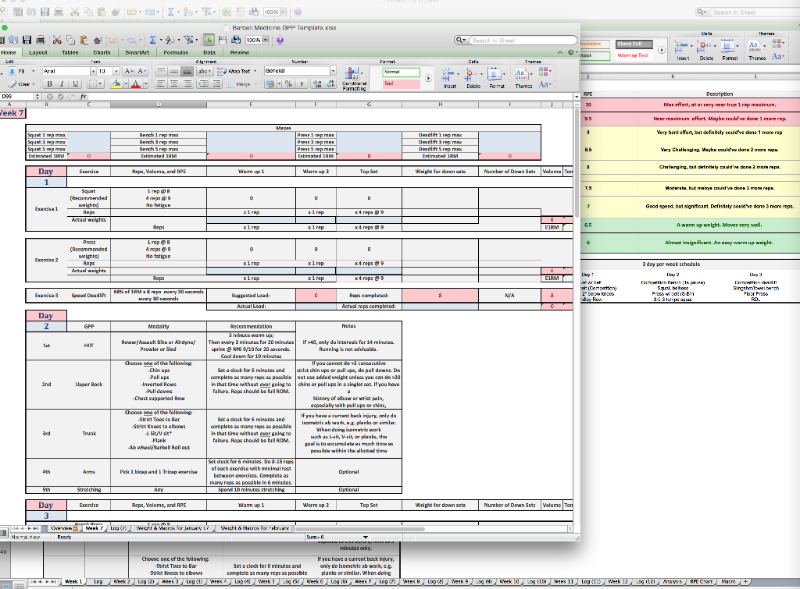 I'll also re-release the existing templates and the plan is for them to go up this weekend! 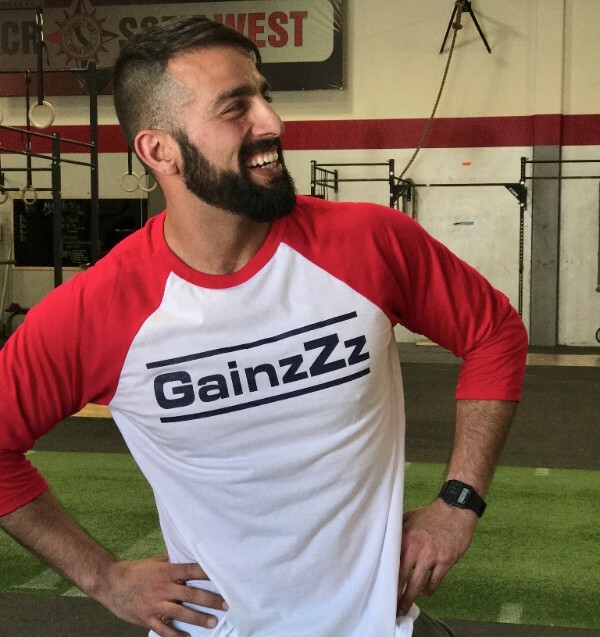 GainzZz apparel still available, but in limited supply. Don't miss out! GainzZz Link. What are you up to next year? Good question. I have been tossing the idea around of seeing patients remotely for a couple months now. The idea is that you or someone you know may live in a different city or state than I do, but want a primary care doctor who understands what you do, who is well versed in nutrition, training, lifestyle changes, modern medicine AND who can actually spend a good deal of time working with you to optimize health, performance, and quality of life. Currently, less than 12% of primary care physicians even know the current ACSM Guidelines for exercise recommendations to the general public, which include resistance training and DO NOT include "just walk." Similarly, the nutrition counseling going on between the doctor and patient falls somewhere between non-existent and not evidence based. That's a problem. Add to that the logistical difficulties of seeing a primary care doctor- even one you don't like! Taking time off from work for a 15 minute office visit that requires you to wait a half hour or more because someone is running late or is sick that day....it's no wonder there are so many people fed up with the system. That's another problem. So what do I propose? What if you had a doctor who could spend as much time as you need to work on optimizing your health and performance? What if you could contact them by text or Skype without having to wait in an office or take off work? That'd be pretty cool to me and ultimately, it jives with the medicine I want to practice vs. the current status quo. As far as costs, we'd be looking at a small monthly fee to make it work, but we'll work out some numbers and details to make this thing right. At any rate, I just thought I'd run it by y'all and see what you thought so let me know! Podcast: Dr. Baraki and Dr. Feigenbaum answer your miscellaneous questions! Link to iTunes here, or click the YouTube or SoundCloud links at top of page.